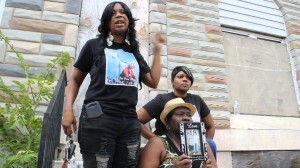 We begin the week with a follow-up to our coverage of the Tyrone West case. West died while in police custody in July, of undetermined causes, and the Baltimore City State’s Attorney announced last Thursday that none of the officers involved will face charges. Joining us are: West’s uncles George Peoples and Neil Norris; West’s sister Tawanda Jones; Chuma Obinene, medical student who was a witness to the incident that resulted in West’s death; the Rev. Heber Brown, Pastor at Pleasant Hope Baptist Church; Dwight Petit, West family attorney; and Tessa Hill, President of the Baltimore NAACP. The Baltimore NAACP is initiating its own investigation of the incident.